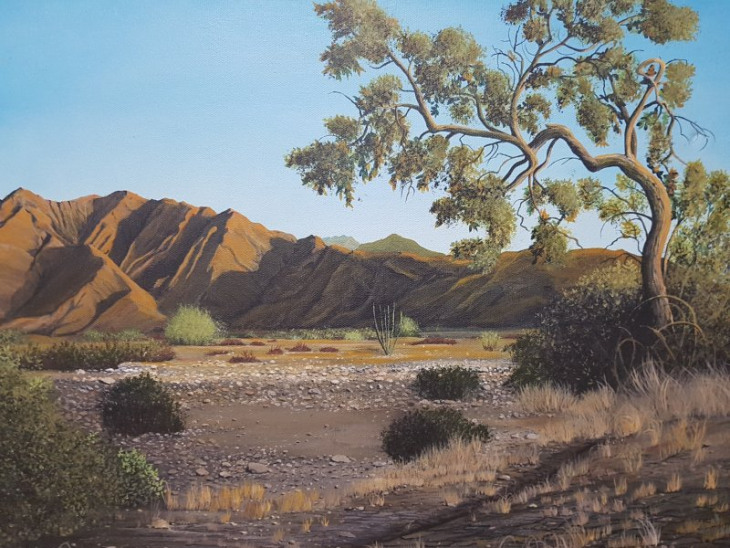 Original Painting "Afternoon in Yuma", on Canvas by artist Sheila Chubak. Framed the size is 20 1/2 X 24 1/4 inches. Unframed 16x20 ". This is a painting of the foothills area of Yuma Arizona. It is done in mid afternoon. This area is now just a part of history since it has now been developed into a golf course. Enter your contact info reguarding Afternoon in Yuma below!